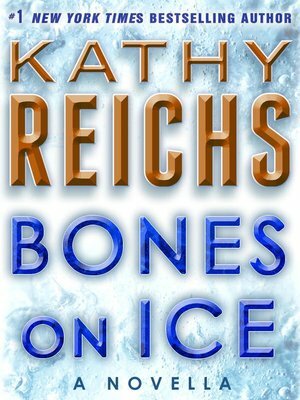 Featuring a preview of the highly anticipated new thriller Speaking in Bones, this eBook original novella showcases #1 New York Times bestselling author Kathy Reichs at the peak of her powers. In Bones on Ice, forensic anthropologist Temperance Brennan gets wrapped up in the ultimate cold case: a death on Mount Everest. It is called the "death zone": the point on Everest, nearly five miles high, above which a climber cannot be rescued. More than 250 souls have lost their lives there. Most of the bodies remain, abandoned, frozen in place. When an earthquake leads to a miraculous recovery, Dr. Temperance Brennan is hired to identify the frozen mummified human corpse. The victim is the daughter of a wealthy Charlotte couple who never got the chance to say goodbye. But far from offering solace and closure, Tempe's findings only provoke more questions. What happened on Mount Everest? Was the young woman's death an accident? Why aren't the other climbers talking? And how far will those hiding the truth go to make sure the past stays buried?